Can "Won't Back Down" face up to its critics? 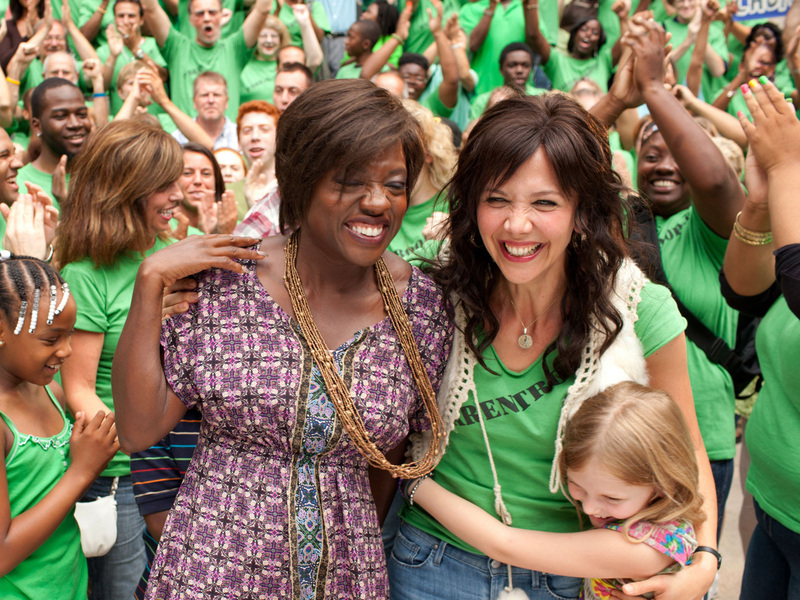 (CBS News) "Won't Back Down," the new drama starring Maggie Gyllenhaal and Viola Davis as woman who take on the public school system, has critics complaining that it oversimplifies a tough issue and resorts to cliches. In the film, Gyllenhaal and Davis play two mothers desperate to change their children's deteriorating inner city school. "Won't Back Down" received a 35 percent review on aggregator site Rotten Tomatoes, with most critics complaining that the film oversimplifies a complex issue. Ann Hornaday of the The Washington Post: "It's so much easier to reduce a notoriously complex problem to teachers -- whether they're idealized or demonized, as they are in 'Won't Back Down.'" She continues saying that the film is "so didactic that viewers are likely to feel less uplifted than lectured." Claudia Puig of USA Today: "While there are moments where this drama, about a pair of mothers hellbent on improving their children's education, is compelling and deeply moving, the film gets mired in heavy-handed cliches and dully repetitive scenes of sifting through paperwork, handing out leaflets and facing down angry co-workers and administrative hurdles." A.O. Scott of The New York Times: "However you take its politics, the film upholds a dreary tradition of simplifying and sentimentalizing matters of serious social concern, and dumbing down issues that call for clarity and creative thinking." Roger Ebert of Chicago Sun-Times: " 'Won't Back Down' blames this failure on teachers' unions and bureaucracy. It embraces a slowly growing movement in which parents vote to take control of their children's own schools, reward gifted teachers, and throw out overpaid, lazy administrators held in place by seniority. It all sounds so simple--and it is, because the movie makes it simplistic." David Rooney of The Hollywood Reporter: "The hot-button issue of public school reform gets unsubtle treatment in this pedestrian and insultingly tendentious drama." Mick LaSalle of San Francisco Chronicle:" 'Won't Back Down' details a bureaucratic process, and yet it plays more like an intense, emotional movie about parents and children."